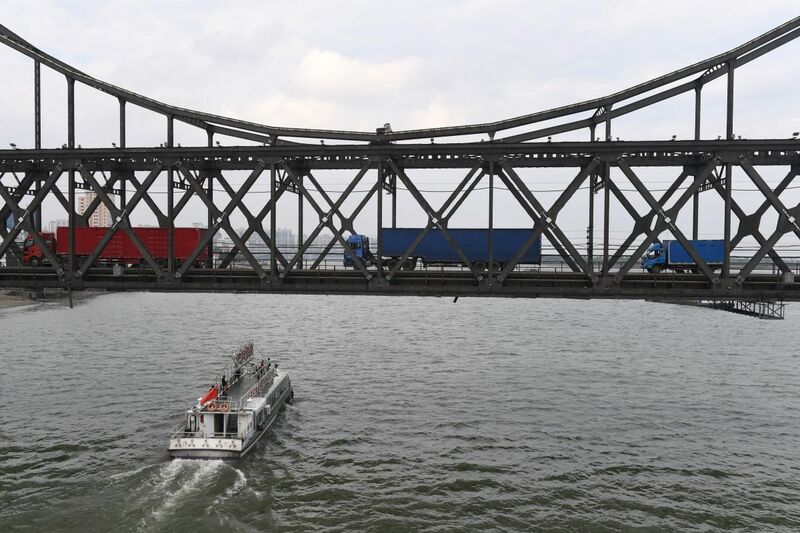 Trucks return over the Friendship Bridge, from the North Korean town of Sinuiju to the Chinese border city of Dandong, on September 5th, 2017. In the wake of Pyongyang&apos;s sixth and most powerful nuclear test earlier this week, it seems sanctions—at least in the short term—have done nothing to stop North Korea from threatening its adversaries with nuclear holocaust. But that hasn&apos;t stopped some members of the international community from advocating for yet more sanctions against Kim Jong-Un. At an emergency meeting of the United Nations Security Council on Monday, Washington&apos;s U.N. ambassador Nikki Haley said the United States would seek to impose stronger sanctions on North Korea. Haley&apos;s announcement follows the strongest-ever imposition of sanctions on Pyongyang. Haley&apos;s bid for more sanctions received harsh criticism from Russian President Vladimir Putin, who called them "ineffective" and countered that Pyongyang would never relinquish its nuclear program, one that, in many ways, has defined the administration of Kim Jong-Un and his predecessors. China&apos;s Foreign Ministry has also come out against sanctioning North Korea, favoring peace talks. Both Russia and China have political and business ties to North Korea. But the leaders of what have traditionally been stronger U.S. allies, Japanese Prime Minister Shinzo Abe and German Chancellor Angela Merkel, agreed on a subsequent phone call that tougher sanctions offer the only viable solution to lifting Kim&apos;s hand from the nuclear detonators. Research, however, tends to side with Russia and China here. 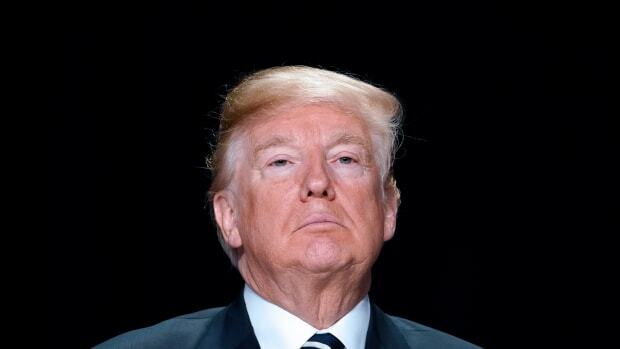 The most prominent analysis of sanctions, "Economic Sanctions Reconsidered" from 2009, showed that, out of 200 applications of sanctions, only about a dozen times did they appear to have bearing on a diplomatic outcome, the Washington Post reported last month. Analysts across the board, including Nicholas Burns, former U.S. under secretary of state for political affairs, agree that, with little exception, sanctions are not an effective deterrent in the practice of international relations. 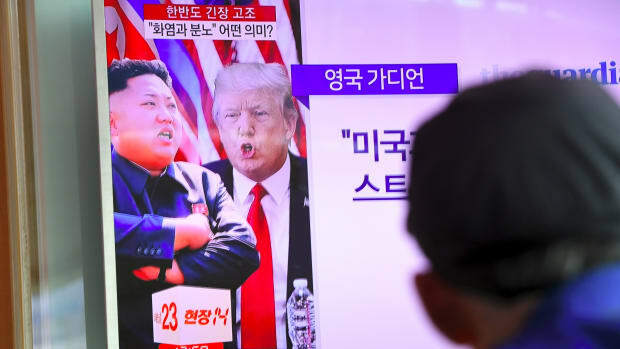 Still, some analysts say that, for North Korea&apos;s immediate neighbors, there&apos;s a lot more at stake—and sanctions provide the best possible approach. "In general it seems logical to me that the states that have the most to lose in this situation should have the largest voice in the international community&apos;s discussions of the appropriate response," says Jacques Hymans, an international relations professor at University of Southern California whose work has focused on nuclear proliferation and North Korea&apos;s nuclear ambitions. 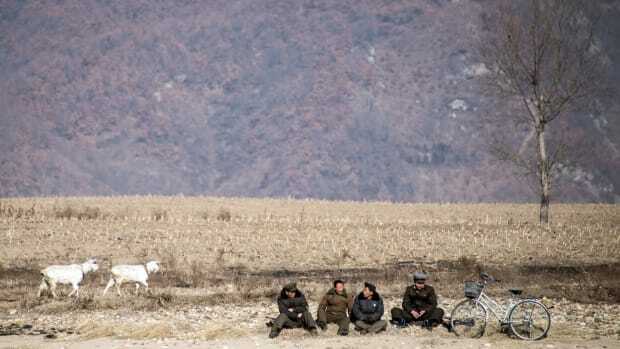 "The closer a state is geographically to North Korea, the more it tends to prefer dialogue over conflict with Pyongyang. This makes sense because such states would take a bigger hit in the event of war or regime collapse. The U.S. may suspect China and Russia of some sort of double game, but South Korea&apos;s views should be much harder for Washington to dismiss." Seoul, too, has called for tougher sanctions, even with U.S. President Donald Trump continuing to tell reporters that military intervention—"fire and fury," per Trump&apos;s early response to Pyongyang&apos;s machinations—was still on the table. 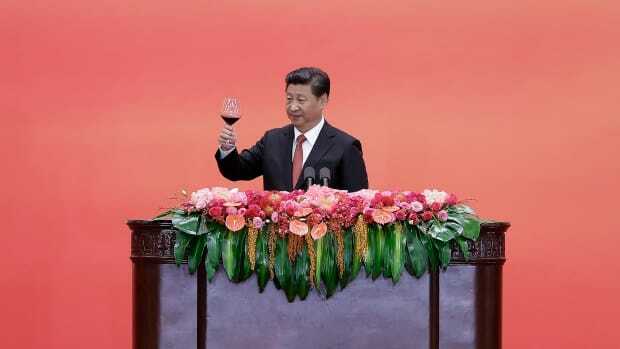 "The most important thing is for the major powers to forge a common front." For his part, Hymans agrees that sanctions are the only way forward. "The international community has little choice but to respond strongly to this latest North Korean provocation, and sanctions are vastly preferable to war," he says. Hymans&apos; counterparts viewing the conflict from South Korea agree: Perhaps paradoxically, although sanctions aren&apos;t especially effective, there&apos;s no less cataclysmic way forward. 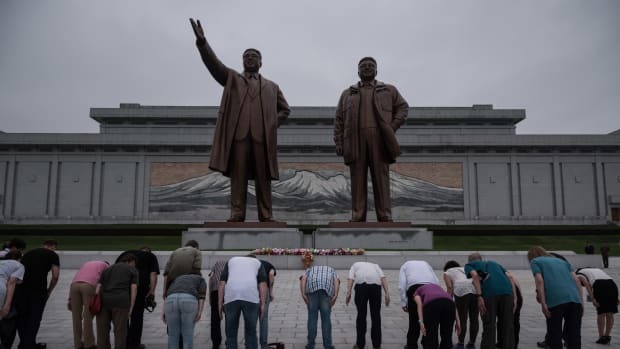 "International sanctions and diplomatic isolation have failed to stop North Korea, and the chances of a sustainable negotiated denuclearization have never looked bleaker," says Sokeel Park, research and strategy director at Liberty in North Korea, an international advocacy organization that stands for North Koreans&apos; human rights. Park spoke to Pacific Standard from Seoul. "At the same time, the policymaking community agrees there is no feasible and acceptable military option," Park says. Sanctions may not work, per the studies and analysts, but they are certainly preferable to the alternative. Still, Park argues for an entirely different approach, in the long run. "North Korea is changing on the inside, and this internal environment of economic, information, and social changes is already creating pressures on Pyongyang&apos;s governance and politics and forcing a de facto gradual opening of the system," he says. Park advises the international community to promote liberalization in North Korea by developing programs to help North Koreans&apos; access to information from the outside world, promote decentralized economic initiatives, and enable refugees from the country to help influence foreign policy on the nation. "Ultimately, the opening and normalization of North Korea as a state and society will not only be of huge benefit to the North Korean people, but is also necessary to see North Korea become less of a problem in regional and international affairs," he says. For now, however, Hymans urges international leaders to overcome differences of opinion on the way forward. 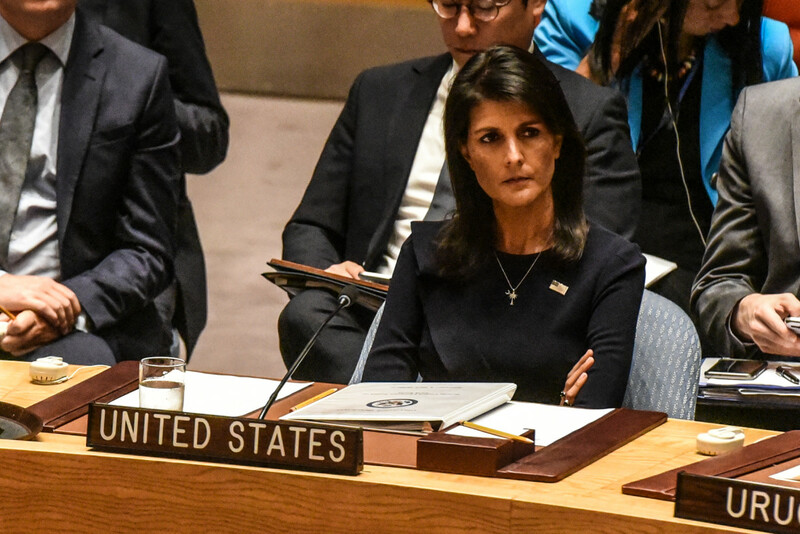 U.N. ambassador Nikki Haley listens to remarks during a Security Council meeting on North Korea on September 4th, 2017, in New York City. "The most important thing is for the major powers to forge a common front, rather than allowing North Korea to play one off against the other as has happened so often in the past," Hymans says. 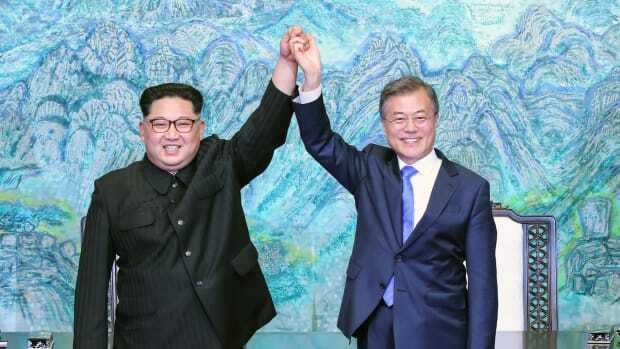 "Forging such a common front is much harder now than it should be, however, because of heightened tensions among the powers on many issues other than North Korea." The immediacy of the North Korean nuclear threat is also uncertain at present. Contrary to the media fanfare over North Korea&apos;s nuclear capabilities, Hymans doubts that Pyongyang could land a warhead on the U.S. mainland. For now. "The most level-headed technical experts concluded after the recent ICBM [intercontinental ballistic missile] test that North Korea still has considerable work left to do, especially to make a long range missile-warhead combo that can survive re-entry. That assessment doesn&apos;t change because of a successful underground test," he says. Still, just as Putin predicted that North Korea would never abandon its nuclear ambitions, Hymans believes the centrality of that program to Kim&apos;s mandate means this problem won&apos;t go away any time soon. "Nuclear weapons are central to the North Korean regime&apos;s identity. They have been trying to get these weapons for half a century at least," he says. "Moreover, Kim Jong-Un doesn&apos;t have sufficient domestic legitimacy to undo the strong commitment of his father and grandfather to that goal even if he wanted to. We are stuck with this problem, and the best we can hope for is to limit the damage." The world&apos;s hands are tied. Short of sanctions and the kind of negotiations that in 2007 and 2012 only temporarily halted Pyongyang&apos;s nuclear program in exchange for aid, it seems the only possible outcome is a worst-case scenario—military intervention, the collapse of North Korea&apos;s government, or nuclear disaster. The current administration has made heavy-handed economic policy one of its main tools for influencing global politics.